A landlord accused of killing his tenant will face a judge in Allegan County Tuesday. Marion “Kurt” Conley was arraigned on charges of open murder, felony firearms and resisting or obstructing a police officer in the death of Jody Snyder. 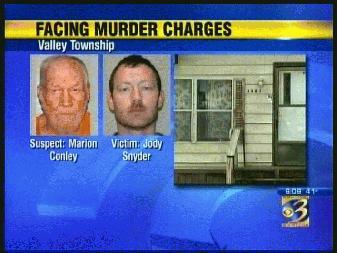 Snyder was found dead in his Valley Township home on March 9th. Police say Conley admitted during an interview with the police that he did have an argument with Snyder a week before his death. Conley told police he was fixing something at Snyder’s home that day. Tuesday a judge will decide if there is enough evidence to send Conley to trial.